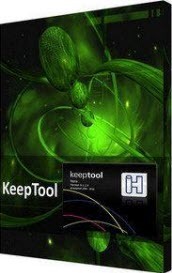 The KeepTool 10 family gathers together three Oracle productivity tools, each addressing a specific purpose and available separately. But each of the three products – Hora, ER Diagrammer und PL/SQL Debugger – is also designed to work with the other two, and shares a common design philosophy. Our goal is to make our products easy and intuitive to use. KeepTool 10 is updated many times each year to enhance its existing functionality and to incorporate new features of the Oracle database. Hora is KeepTool’s flagship product for viewing and manipulating Oracle databases, and accommodates a variety of users. Primarily designed for both DBA’s and developers, it can also help end users query data and generate simple reports. Thanks to its intuitive interface and the ability to preview SQL before execution, Hora does not require that you read the manual before using it. Its object-oriented navigation system takes you to any database function within a few clicks. Hora is compact. Everything you need to work with the database is in a single tool. Start-up time and resource usage are minimal. HoraLight, which follows the design and usability principles of the full version of Hora, makes viewing and modifying tables, and producing simple or complex queries, something that end users can do for themselves with ease. KeepTool’s Entity Relationship Diagrammer shows the tables and their relationships to each other systematically, according to the IDEF1X standard. ER Diagrammer can create an entity-relationship diagram from an existing database. Optionally, for a complex database, ER Diagrammer can generate diagrams for specific portions that you can select. Usually, the result will picture the tables in a manner that shows relationships with all parent tables to the left. If you prefer, you can rearrange the tables differently, and the connectors will follow along. The image can then be saved in a file for future display. You can also use ER Diagrammer in conjunction with Hora, the parent of the KeepTool 10 family, to generate a data model for a new database. Simply use Hora to define tables—adding, dropping and renaming columns where necessary; then use ER Diagrammer to create a graphic view of your data model. KeepTool 10’s PL/SQL Debugger gives you, the PL/SQL developer, all you need to test and debug code. You can set breakpoints and define watches for variables. Breakpoint lines are color-coded and can be removed or reset at will. In addition to the source display, there are separate windows that display watched variables, breakpoints and the call stack. PL/SQL Debugger has been designed with the same emphasis on usability as Hora. This ensures that both tools are closely integrated. Using Hora and the Debugger together, you will be on your way to creating to creating efficient PL/SQL code.